A thorough material pretreatment is the fundamental prerequisite of any high quality coating. Wet or Dry pretreatment, depends on the material to be coated. 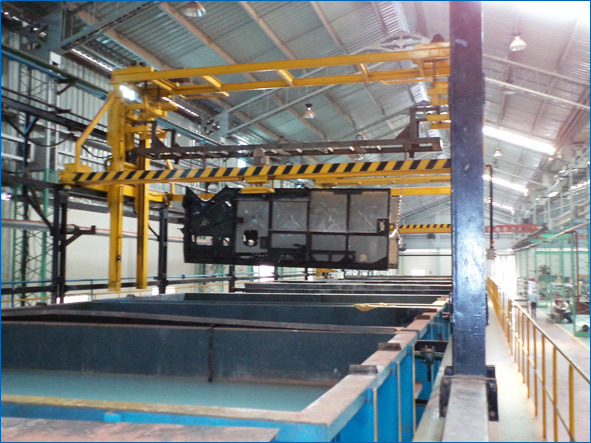 Integrated Automation & Robotics provides solutions for degreasing, phosphating, grinding, shot blasting or ionizing on the turnkey basis with requisite Material Handling and Automation. Used to condition the surface enabling desired adherence of paint on product. 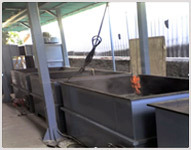 Suitable for ferrous & non-ferrous components processing. • Dip Pre treatment with transporter based. 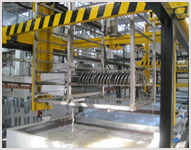 • Spray Pre treatment with conveyor, EMS or Monorail. Consistent quality of coatings to meet specification requirements like SALT SPRAY Life. Significant improvements in paint and powder coating performance. • Increases SCRATCH and IMPACT resistance. MIP Coating increases the lubrication properties of the surfaces.